There is always cause for concern whenever news arrives that a much loved book is to be blown up on the big screen. Such concern is not without good reason. The book-to-film graveyard contains many failures and few successes. More often than not, the film is poor and it ends up as the cinematic equivalent of a table sauce condiment at the Michelin-starred table. The cheap and tacky appendage to diminish the significance and reputation of the towering written word. Yet, this imbalance hasn’t diminished the studios appetite to cash-in on such opportunities. Especially when there are a series of books to explore. They are lured by the promise of a guaranteed audience and the opportunity to build lucrative franchises. Spurred into action by the crossover success of the Harry Potter series (2002-2011) and Twilight (2008-2012), they are constantly on the look-out for something to plug the gap, fill the schedules and fatten their coffers. 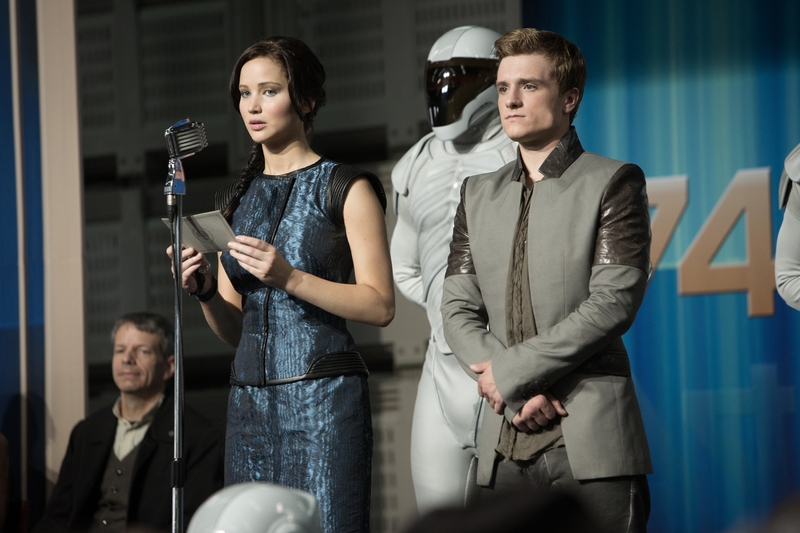 It was into this climate that the first Hunger Games film dropped in 2012. Unusually (and pleasingly) for a film aimed predominately at the teen-market, it wasn’t afraid to cosset the dark tones of the source material. Although not perfect, it didn’t smooth too many of the edges. It was also that rare example of an adaptation that thrilled many of the novel’s devotees. On the flip side to this embrace, some quarters arrived at the film with Kinji Fukasaku’s ‘Battle Royale’ (2000) firmly ensconced in their mind. They couldn’t quite shake the nagging sense that this was a diluted Western offering; the slightly nerdy and uncool relation. It wasn’t quite brutal enough to be hip and it didn’t come first. This time around though, the story steps out of such direct comparisons – out of BR’s shadow and into something very much of its own. We join proceedings 12 months on from the end of the first film. Jennifer Lawrence’s Katniss Everdeen and Josh Hutcherson’s Peeta Mellark have failed to convince much of the wider world as to the genuine nature of any love that they may share. The Capitol is restless and angry. 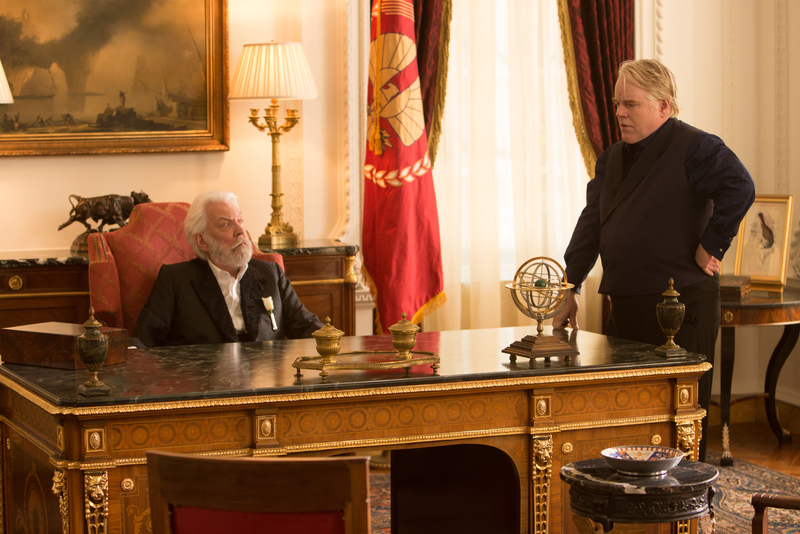 President Snow makes it plain to Katniss that she must join Peeta on their first tour of the Districts as victors and convince one and all that they are madly in love with one another. He says this with good reason. His authority is being challenged. Ever since Everdeen and Mellark’s defiant victory in the 74th Hunger Games, there has been growing dissension and rebellion in the Districts of Panem. Suspicion, paranoia and fear have become the motivating prompts for all factions, with ‘hope’ as the overall goal; whether it be to hold on to power or wrestle control from others. The narrative is cautious, the cinematography appropriately bleak. The ruinous decrepit streets are paralleled by grey and foreboding skies. Together, they conjure a suitably poetic backdrop of perfectly balanced menace and mired despair. In fact, this dystopian landscape, especially as the victors tour the districts, offers more than a glancing aesthetic similarity to (surprisingly) Tarkovsky’s ‘Stalker’ (1979) and Cuaron’s ‘Children Of Men’ (2006). With good cause you may well ponder that all of this atmospheric scene setting could come at the cost of popcorn stuffing entertainment. Be assured that this is not the case. There are enough big scares and bristling suspense to keep all demographics happy. For those who are fans of the crunching action set piece, the Games itself offers a lot more bang for its buck than the first outing. It appears to have more tricks than Dynamo up its sleeve and is quite the ride. Importantly, the performances hold the feral juggernaut of a plot together. As the story flies left to right, up and down, the strong cast act as the seam to bind these flamboyant materials. If there is one casualty of proceedings, then it lies in a slight loss of engagement on a character-to-character level. New arrivals promise an escalation in emotional complexity yet they aren’t fully, or satisfactorily, explored. To have left these strands feeling slightly half-baked is a thing of mild disappointment. With that said, the run time is already quite chunky, and it would appear to have been a struggle to wrestle all the constituent ingredients together into a manageable portion. Despite clocking in at almost 2 and a half hours, the film still feels trim somehow, not flabby and out of shape. In time to come, viewers will be able to stream the follow-on immediately, or pull the disc from the case. For now, the wait for the next chapter will feel like a long one indeed. There can surely be no higher praise. It’s a gloriously potent mix; a blockbuster with both brains and brawn. 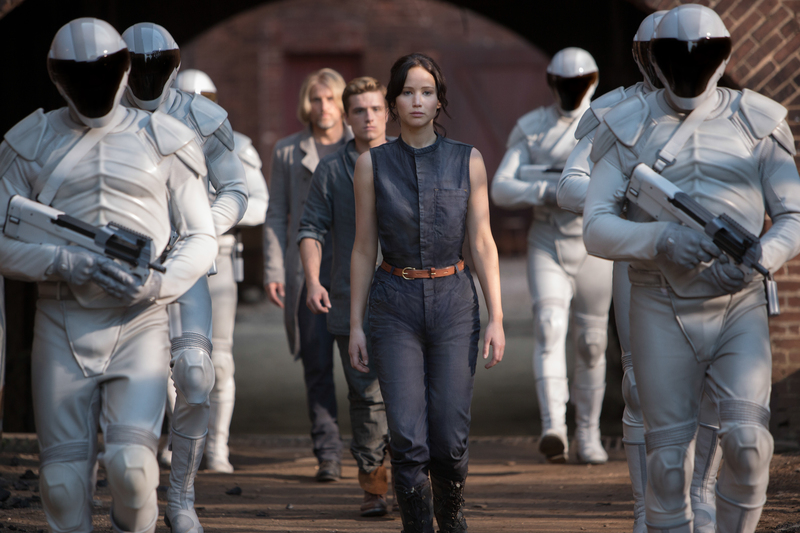 Catching Fire is a constantly startling labyrinth of wonder and excitement. Darker, grittier, bolder and, on balance, better. This franchise just got serious. Catching Fire? Hell, it has set the whole franchise alight. This entry was posted on 12/11/2013 by toomuchnoiseblog in Reviews.